Every week, we come across companies that have given GSAs to banks that are unnecessary because they have given real estate security as full collateral for the loan. GSAs need to be understood as they stop you from making full use of our company assets to raise finance efficiently. An interesting, and important, comment appeared at the bottom of my piece yesterday about deflation and central banks, which is worth republishing in full. “As an owner of a number of businesses across a range of sectors (including manufacturing) I can provide some perspective on the efficacy of interest rate reductions on our propensity and willingness to invest — in short, it has little or no impact. “By far the biggest determinant is sentiment, or attitude to risk in other words. And by far the biggest factor in this is the attitude of the banks — not just whether they say yes or no to a deal, but the perception of how they might respond or act if something were not to go quite to plan. “It is really quite clear that the banks are not really keen or interested in business, particularly the SME space. They pay lip service to it and purport to be active and keen, but the reality is that they are doing this because it is expected of them, and to show their true colours would be very bad PR. So they instead play the game of being present, but not really being active in the SME space. “All my businesses are sound, profitable and cash-generative. Despite this, I get the distinct impression that if I said to my bank that I was moving elsewhere they would act disappointed, but corporately they would be glad — as it would free up their capital to lend on property. “In a real sense I don’t blame the banks, they are just acting rationally in order to get the best returns. “The Reserve Bank only really has a single tool — interest rates — with which to try to control the economy/growth/inflation. The effectiveness of this tool has been blunted almost to the point of being useless (other than fuelling or retarding the property market). I tried to contact George to hear more of his experiences, but to no avail (yet). The reason I thought his comment was important is that it contradicts what the banks say, tells us why monetary policy is quite useless and accords with what I’ve been hearing from small to medium businesses myself about the banks’ attitudes, and which I wrote about last month. But George took it one step further: he says, in effect, that SMEs are scared of borrowing from banks because if things go badly, “the banks may not be our friend”. In other words, banks don’t want to lend to businesses and businesses don’t want to borrow from banks for fear of what they might do. In a nation whose finance sector is dominated by four banks, that’s a recipe for stagnation at best. Yesterday KPMG published its annual review of the big four banks’ results and included figures on their profits and return on equity. In the past decade they have tripled pre-tax profit but ROE has declined from 18 per cent to 15 per cent. And as KPMG commented, this downtrend is likely to continue as the banks continue to increase their capital levels in the years ahead. The lower risk weighting of real estate mortgages virtually forces banks to focus their lending on this and to steer away from business lending. This is possibly the single greatest problem facing the Australian economy right now, and nothing the Reserve Bank does today, or next month, will change that. As George says, cutting rates will be useless unless the banks lend to businesses, but they can’t do that because they are caught between the regulator’s demand for more capital and the market’s demand for more ROE. KPMG highlighted other challenges facing the banks as well, specifically “we have likely seen the bottom of the credit loss cycle, and the trend in lending losses is now on an upward trend”, and the fact “customer behaviour and competitive dynamics (are) continuing to rapidly evolve, driven by demographic changes, the digital revolution and the rise of fintech competition”. With bad and doubtful debt provisions increasing at the same time as the fintech revolution increases competition at the same time as capital has to be increased, Australian bank executives are facing the most challenging time since the recession of the early ‘90s. They really are in no state of mind for the complications and risks of small business lending. Big syndicates, yes, and real estate mortgages for sure, but a cash flow loan to help a small business over a hump? Forget it. It’s against that background that the RBA is apparently thinking of cutting interest rates again, if not today then next month or the month after (the market is pricing in a 120 per cent probably of a rate cut by February). It will make no difference to anything. The housing cycle has turned, thanks to APRA’s clamp on investor lending. So even if the RBA wanted to encourage more property speculation, which it doesn’t, it wouldn’t happen. Banks aren’t lending to businesses anyway, and even if they do, George says the businesses are too scared to borrow because of what the bank will do if something goes wrong. In a new study by BI Intelligence, we surveyed 1,500 millennials (ages 18-34) to explore how they use physical and digital banking channels. The banking habits of millennials, who compose the largest share of both the US and employed populations, are an important indicator for determining the future of retail banks. Nearly three-quarters of millennials with a bank account visit a branch once or less per month. Just under 40% of millennials do not visit physical banks. Only 38% of US millennials use physical banks to perform banking activities other than using an ATM. One-third of millennials go only to physical bank locations once per month or less. About 26% of millennials visit a branch less than once per month, and an additional 10% visit branches approximately once per month. Only 6% are visiting a branch on a weekly basis. 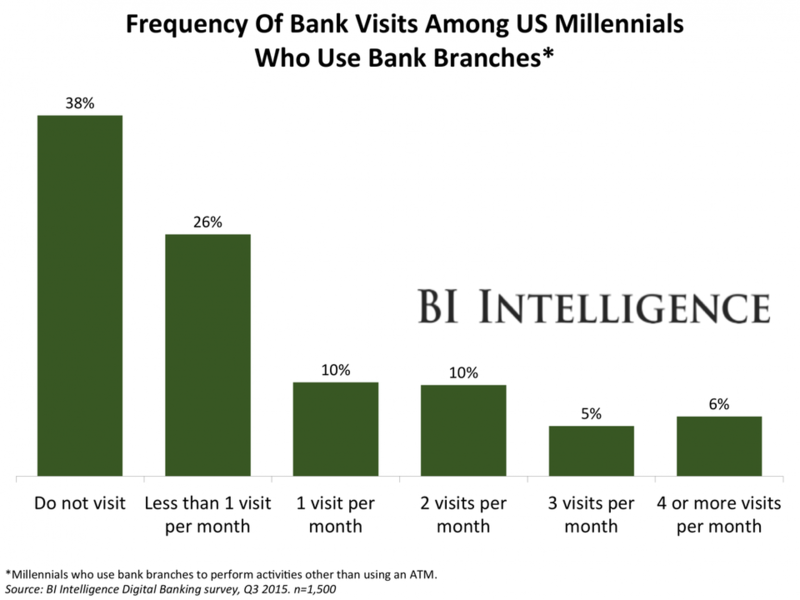 6% of millennials go to a branch four or more times per month. The data helps to explain why banks across the US have been scaling back their branch networks. Millennials are already the largest generation and a target market for banks. Since only a small percentage of millennials use their bank branches often, it makes sense for banks to increase investment in other banking channels like mobile. “Ample evidence has accumulated to suggest that the current role of internal models in the regulatory framework does not strike the right balance between simplicity, comparability and risk sensitivity,” Mr Ingves said in a speech delivered in Spain on Monday. Given the “common equity tier 1” (CET1) ratio – the key constraint in Australia – uses risk weighted assets to determine the level of capital, he said global regulators also want to measure banks using leverage ratios, large-exposure limits, the liquidity coverage ratio and the net stable funding ratio. “These constraints complement one another, resulting in a more robust regulatory framework,” he said. The Australian Prudential Regulatory Authority (APRA) currently allows Australian authorised deposit-taking institutions (ADIs) – i.e. banks, building societies and credit unions – to use one of two approaches to determine their capital requirements. Whereas most lending to corporate borrowers is ascribed a 100% risk-weighting (i.e. an 8% capital charge), most residential mortgage lending is ascribed a risk-weight of just 35% (i.e. a 2.8% capital charge). By contrast, the Big Four banks and Macquarie have to date gained a significant capital advantage by utilising APRA’s Advanced Internal Ratings-Based (IRB) approach, and therefore using their own internal models to calculate their capital held against mortgages. For example, under these IRB models, the Big Four’s capital charge on their total residential mortgage books range from only around 15% to 23%, with the average capital charge against mortgages a meager 1.2% to 1.9% (see below charts). Times are already changing, however. 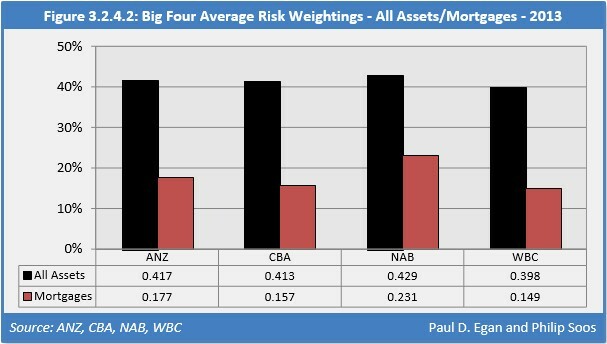 In its response to the Murray Financial System Inquiry, APRA has already announced that it will raise the average IRB mortgage risk weights to at least 25% from 1 July 2016, which has led to the major banks undertaking capital raisings to increase their capital levels. The Government has also endorsed APRA introducing a leverage ratio to act as a backstop to ADIs’ risk-weighted capital positions. The extent to which APRA would implement further tightening of bank capital in response to the Basel Committee’s recommendations remains to be seen but hey have already made clear that Australian banks must follow the international rules. There would also likely be long implementation timetables, which would lessen the adjustment. Regardless, the days of hyper loose capital requirements around mortgage lending, and extreme leverage, are coming to an end, which is good news for those of us concerned about financial stability and excessive levels of housing lending. Only 6 per cent of the directors overseeing the world’s biggest banks have any technology experience even though issues ranging from cyber security to digital challengers have shot up their boardroom agenda, a study has found. Almost half of the world’s 109 biggest banks have no board members with any technology experience and a further quarter of them have only one such director, according to the research by Accenture. “Very few banks have technologists on their boards and yet when you look at the big strategic challenges facing their business, particularly from financial technology companies, a lot of banks’ revenue is under threat from this area,” said Richard Lumb, head of financial services at Accenture. The study counted up all the bank directors who have ever had senior technology responsibilities in a company, such as chief information officer, or who have had senior responsibilities at a technology company, such as sitting on its board as a non-executive. So, for example, Sir Mike Rake, deputy chairman of Barclays, counted as having technology experience as he is non-executive chairman of telecoms group BT — even though he spent most of his career as an accountant at KPMG. Banks in the US and UK scored highest on the proportion of their directors who have such technology experience, but even they only reach 15.7 and 14.3 per cent respectively. The lowest figures came from banks in Brazil, Greece, Italy, and Russia, which have no directors with a background in technology. French banks have only 3 per cent of directors with technology experience, while Spanish and Swiss banks have less than 7 per cent. Financial services companies compare poorly to most other industries in this area. A recent study by headhunters Russell Reynolds found financial groups had less than a third of the digital experience on their boards than other sectors, such as healthcare and consumer goods. “If your main competition now comes from financial technology companies and not banks and the biggest threat you face is cyber security, then technology has become so ingrained in your business that you really need to know something about it,” said Mr Lumb. He recommended that banks set up technology committees on their boards, a step only 11 per cent of lenders have taken. Examples of banks that have done so include Nationwide in the UK and Citigroup in the US. Many banks have been trying to add technology expertise to their board. Spain’s BBVA, which is run by former IBM executive Francisco González, promoted its head of digital banking to its board this year as president and chief operating officer. However, some banks seem to find it hard to attract top technology figures to their boards. Sir David Walker, the former chairman of Barclays, told the Financial Times that it was hunting for such a person in December, but none has arrived on its board yet. Sir Philip Hampton, the former chairman of Royal Bank of Scotland — which has suffered some damaging IT outages in recent years — said this summer that it was looking to add a technology expert to its board, but he added “they are not easy to find”. A funny thing happened to business lending on the way from the GFC. Australia’s banks turned into giant building societies, lending almost exclusively against residential property and rarely, if ever, making unsecured loans to businesses or people any more. If someone asks for a business or personal loan these days, the banker asks for the house. The result is that traditional small business lending has dried up, and with it business investment, while Australia has the highest ratio of household debt to GDP (134 per cent) in the world, since business owners have to borrow against their houses. And, by the way, the upward pressure on values from banks has probably contributed to the over-pricing of Australian real estate. As a result of a combination of the “risk-weighted assets” system and the credit crisis, banks have basically withdrawn from the thing they were set up to do: facilitate commerce. For the big four banks, only 16 per cent, on average, of a real estate mortgage is counted when measuring the bank’s capital ratio. This is rising to 25 per cent next year. But every dollar of an unsecured personal and business loans counts against capital and in some cases the risk weighting is 150 per cent. Capital -- that is, the bank owners’ money -- has to be 8 per cent of assets, although mostly it’s around 10 per cent. That is, the ratio of owners money to other peoples’ money has to be no greater than 12.5 to 1 and is usually 10 to 1. The result is that for every dollar of capital, the big four banks can choose to lend $62.50 secured against real estate or $10 unsecured. Guess what happens? It’s only natural and totally understandable. It’s true that interest rates on personal and business loans can be three times what the banks make on residential mortgages, but that still doesn’t make up the revenue. And in any case, these days the banks are all about volume and market share. In a way, the increase in the risk weightings of residential mortgages next year, from 16 to 25 per cent (of the asset counted against capital), imposed by the Australian Prudential Regulatory Authority and due to start from July 1 next year, will only exacerbate the problem. That’s because analysts reckon the banks will need to raise about $24 billion in precious, expensive, new capital, which they have already started doing -- including Thursday’s sale by ANZ of Esanda for $8 billion. They will be loath to waste it on loans that count dollar for dollar against that new capital, and will be even more inclined to focus on real estate. And by the way, the big banks might have to increase the risk weighting of their real estate mortgages to 25 per cent, but the smaller banks and non-bank authorised deposit-taking institutions are at 35 per cent for the same assets. Why are the big ones favoured like that? Because they practice something called 'advanced modelling', which APRA says involves superior risk management systems. But that represents a built-in regulatory bias towards the banking oligopoly in Australia, and makes it much harder for the smaller players to take market share off them because their interest rates have to be higher to pay for the capital. But leaving aside that little glitch, the system of risk-weighting assets was a wonderful development for the banks when the Basel Committee invented it in 1988 -- for the simple reason that it increased the assets that banks were allowed to hold for the same amount of capital. You see, the Basel Committee didn’t decide that the weighting of secured loans should kept at a dollar for dollar and unsecured loans’ weightings increased, so banks had to cut back on them. Oh no, secured loan weightings were reduced to less than a sixth of their real value, and unsecured loans were kept at 100 per cent, as all loans always had been. It was just another step in the centuries long march of banks from lending only their owners’ capital to merchants on the security of nothing more than promissory notes to being highly geared (effectively lending $60 for every $1 of capital), highly profitable lenders of others peoples’ money against real estate. Banking developed in Italy in the 13th century from the practice of issuing bills of exchange to facilitate trade. The merchants of Venice had begun to deposit their surplus cash from doing deals with the moneychangers, who lent it on to those who were temporarily short. Around 1800, bank capital was down to 50 per cent of assets because of the pressure on bankers to finance the wars of their sovereigns. By the end of the 19th century, bank capital, after another 100 years of wars, it was 20 per cent. There was, of course, no such thing as risk weightings; a loan was a loan. Following the invention of central banking after the 1907 Knickerbocker Trust collapse, banks were allowed to hold less and less capital until, in the late 1980s, they hit more or less rock bottom at less than 5 per cent. That’s when someone hit on the brilliant idea of letting them notionally reduce the value of secured loans when measuring the capital: the result was continued the process of lowering the capital – in other words increasing the gearing and therefore profits – but this time without seeming to. The ratio of capital to assets stayed the same! It’s just that credit assets magically shrank if they were secured against land. Fast forward to 2015, and the banks are under pressure to increase their capital because … well, they lost it all in 2008. Sorry everyone. The Australian banks didn’t lose theirs, but the rules are global now so one in, all in. The pressure to increase capital, combined with the system of risk weightings, has fundamentally changed the nature of banking. No longer is the credit risk assessor paramount within the bank; now the real estate valuer is king or queen. All that matters to a bank’s solvency is the LVR (loan to value ratio) not the credit score of the borrower, and the key unknown is the value. Banks are no longer very interested in credit-worthiness, or in establishing the sustainability of small business’s cash flow. They just want the security of the entrepreneur’s house. The result, apart from the well-documented dearth of business investment in Australia, is that two new industries are now beginning to flourish in Australia: non-bank lenders focusing on the personal loan and small business sector and venture capital. Increasingly, entrepreneurs are being forced to raise equity capital to fund their working capital, in the absence of either a business loan or an overdraft, which means selling part of their businesses. And that is expensive capital, both in the returns that the venture capitalists expect and in the emotional wrench of equity dilution. So the shifts in bank regulation -- more capital and the risk weighting of assets -- is actually having a profound effect on the way business itself is conducted. And the growth of peer to peer lenders like Society One, Ratesetters and ThinCats (in which I am a small investor) is a direct consequence of the banks withdrawal from unsecured lending. There are others, like the listed DirectMoney which uses a unit trust structure, and Investors Central, which issues preference shares to fund car loans through a subsidiary, Finance One. Perhaps at some point the banks will decide to get back into personal and business lending, and mop these new smaller players up, but for moment they’re munching on the banks’ unsecured lunch. (2) in any event, banks do not have the enough skilled staff or tools to lend to businesses without mortgage backing. See also Alan Kohler's brilliant article which explains that banks only want our houses. CHRISTOPHER JOYE: Yeah. I think what we're going to see is a radical reshaping of competition in the banking sector through these capital changes. It's very complicated but the short story is that the four major banks have been able to carry twice the leverage and generate twice the returns for every dollar of home loans they make than their competitors: that is, the regional banks. And Murray is going to level that competitive playing field so everyone will carry roughly the same capital and roughly the same leverage and therefore generate roughly the same returns. So I think you will see the majors' market share fall in home loan lending. They will be pushed into more business lending and that's good, because business probably need more capital and lower-cost capital. And you're going to see the regional banks rise as more prominent home loan lenders. EMMA ALBERICI: Because up to now the banks have been able to have much more debt on their balance sheet and now they won't be able to? Emma Alberici speaks with Christopher Joye and David Uren for their take on the Government's response to the Murray financial systems inquiry. EMMA ALBERICI, PRESENTER: Now for a more detailed look at the Government's response to the Murray inquiry, I'm joined by Christopher Joye here in Sydney, columnist for the Australian Financial Review and economist, and in our Canberra studio the economics editor of the Australian, David Uren. CHRISTOPHER JOYE, COLUMNIST, AUSTRALIAN FINANCIAL REVIEW: Emma. DAVID UREN, ECONOMICS EDITOR, THE AUSTRALIAN: Good evening. EMMA ALBERICI: Now, the Government wants to crack down on merchants who charge excessive credit card surcharges. Christopher Joye, what's considered excessive? CHRISTOPHER JOYE: Well, anything that's above the reasonable costs associated with a transaction, which is obviously going to be difficult to enforce because I don't think anyone really knows precisely what reasonable costs are. EMMA ALBERICI: David Uren, Treasurer Scott Morrison said that credit card surcharges would have to pass the "fair dinkum" test. What does that even mean? DAVID UREN (laughs): Well, I don't know. I mean, I think people obviously recent having to pay 1.5 per cent when they do just a store transaction, much as the same way as people will often recent having to pay a couple of bucks to use an ATM. I think they'll probably struggle to find a method of legislating or regulating that pleases everybody, but I think they're clearly serving notice to the industry that fees will have to come down. EMMA ALBERICI: Christopher Joye, as you just pointed out, enforcement will be nigh impossible, won't it, when you've got hundreds of thousands of businesses charging these surcharges? CHRISTOPHER JOYE: Yeah, I think that's right. And as David said, I think evaluating what reasonable costs are is going to be an inherently difficult exercise. And then you've got small business highly fractured and decentralised. So that enforcement question is a big one. EMMA ALBERICI: OK. Now, the banks will be required to hold more capital in reserves so they can better withstand financial shocks. Presumably it's the banks' customers who are going to have to pay for this, David Uren? DAVID UREN: Well, Westpac has partly shown that it's prepared to put some of the cost onto customers. It's not entirely clear. I mean, strictly speaking, if the banks are made safer by having more capital, well then, the cost for those banks of raising deposits should also fall. So it's not actually, you know, demonstrably true that raising more capital automatically pushes up their costs. The banks argue that it will. I think it's interesting that so far the other three major banks that have raised capital to please APRA's capital demands have not increased interest rates - or, at least, not to the home borrowers. So, you know, I think Westpac did take a step away from the rest of the pack last week. EMMA ALBERICI: But Westpac, Christopher Joye, did use this as the excuse for raising interest rates? CHRISTOPHER JOYE: Yeah. And to be clear: we have seen substantial increases in interest rates on investment loans by about 0.2 percentage points and Westpac's now applied that to owner/occupied loans. I think the question is whether the banks feel they can get away with it. To date they have been able to. I don't think there's any doubt we're going to see further rate increases one way or the other. If the RBA cuts rates, they probably won't pass on the full extent of that cut. And the banks want to have their cake and eat it. They want to pass on the cost to consumers and protect their shareholders and not dilute the returns to those shareholders. But David is right: more capital and less leverage means they're safer and, in theory, the cost of their funding should be lower. And we've seen sometimes in the bond market over the last three to six months reductions in the cost of that funding for the banks on the back of perceptions that they will be safer concerns. EMMA ALBERICI: What will this do to the banking system more generally, this capital requirement? Will it generally make it safer? Because most people would assume that in the event of some kind of crises, as we saw in 2008-2009, the Government steps in anyway, David Uren? DAVID UREN: Well, I think a lot of the regulation that has taken place since the Global Financial Crisis has been designed precisely to reduce the likelihood that Government will be called. It helps to have a larger safety margin when things turn nasty and losses mount, but it's probably also the case that if you look, say, at the US subprime crisis, there was probably no bank that failed during the US subprime crisis that would have been saved had another per cent or two of capital in its reserves. I think when things go wrong in a financial institution, they tend to go wrong in a big way through very bad lending practices across the board. Fortunately we're not seeing that. It's a margin of insurance but, you know, it's probably not really a life and death matter. EMMA ALBERICI: Because there's a general assumption, I think, that if you have this much in deposits then that's how much you lend. But of course that's not the case. CHRISTOPHER JOYE: Yeah, and that's not the case. And so we're going to see real convergence in returns and I think the Australian banking system in 10 to 15 years' time will look very different as a result of these changes. EMMA ALBERICI: How significant is the change, do you think, David Uren? DAVID UREN: Look, I mean, I think that to a certain extent the changes we've already seen - those that Christopher's talking about, which are designed to level the competitive landscape with the smaller banks - they will produce shifts in market share. I think, though, that one of the things that's still an open question is how much more capital the banks will be required. And really, the Government's response to the Murray inquiry gives APRA a carte blanche to say, well, how much capital it does need. And I think it's... really, it's the incremental capital that we might see APRA demanding as time goes by that, you know, will also be quite a significant factor in terms of the weight of capital that the banks have to carry. EMMA ALBERICI: Chris, to the question I asked David earlier, I mean about the too big to fail issue: the governments of whichever persuasion, as the Rudd government did during the Financial Crisis: they're not going to let one of the big four collapse? CHRISTOPHER JOYE: I mean, this is 100 per cent correct. I've spoken to regulators about this. Privately they say they will not let not just the big four fail but literally almost any bank fail. But the financial system inquiry was fascinating on this point. They made the observation that, based on the capital the banks held in June last year, if we had had the sorts of movements in house prices and other asset prices that we saw in North America and Europe during the Global Financial Crisis, "the four major banks would have been insolvent". So they are clearly short capital. My numbers are: they probably over the next three to four years need to raise another $20 billion to $33 billion worth of capital. It's actually not that much and it's a very manageable task. And we have now government-guaranteed deposits. They have access to emergency liquidity or loans from the RBA currently worth $250 billion. So these are explicitly government-backed institutions. DAVID UREN: Just to sort of follow on Christopher's point: that during the heart of the Global Financial Crisis, many hours of Cabinet time, of treasurer's time and of Treasury secretary's time was spent trying to work out ways to ensure that Members Equity Bank, the smallest bank, I think, in Australia, didn't get into trouble because securitisation markets had folded. And I think Ken Henry made the point after that crisis that, in the thick of the drama, there's almost no bank that is too small to be allowed to fail. CHRISTOPHER JOYE: Yeah, that's right. EMMA ALBERICI: OK. So on superannuation, the Murray inquiry had recommended that super funds shouldn't be allowed to borrow money to invest. Curiously, the Turnbull Government has disagreed with that recommendation. EMMA ALBERICI: And if making the system safer was the objective, this seems like an anomaly, doesn't it? CHRISTOPHER JOYE: It's a really, really interesting subject because within the $700 billion of self-managed super, lots of people have bank stocks and the banks are leveraged 24 times currently. So that's actually a leveraged equity investment that has no recourse to the borrower. If the bank defaults on the debt, they don't claim your self-managed super money, right? EMMA ALBERICI: I think his recommendation was across the superannuation industry that no super fund should be allowed to borrow to invest? CHRISTOPHER JOYE: Well that's right and that is the general principle and there was an exception for non-recourse loans. But I think this is very important because of the $700 billion in SMSFs, only five per cent or thereabouts is currently invested in residential properties and associated mortgages. And that is a tremendous growth opportunity for the banking sector. So if the home loan market in owner/occupied sectors and investment sectors starts to slow down, they can potentially drive tremendous credit creation through providing non-recourse loans - they must be non-recourse - to SMSFs. And the problem with a non-recourse loan is: it sounds very similar to a subprime loan in the US, which used to be called "jingle mail" because the lender had no recourse to the borrower beyond the asset itself, so they could just leave the keys in the house and walk away. EMMA ALBERICI: David Uren, the final report said, "Direct borrowing by super funds could impose risks if allowed to grow at higher rates." Why you think the Government has ignored the recommendation that that should stop? DAVID UREN: Well, I think that there would be a large number of Liberal Party voters who would have self-managed super funds. So, you know, I think the self-managed super fund industry has developed over a relatively short space of time quite a deal of political clout. So I have no doubt that that's a factor. But I think also they probably... Well, you know, there's a tension there. The Reserve Bank has clearly been calling for regulation on borrowing and self-managed super funds. The Reserve Bank has been quite concerned about it. But clearly the Government has taken an alternate view that, as yet, the magnitude of borrowing is not that large in the overall scheme of the SMSF assets. EMMA ALBERICI: OK. We're almost out of time, but just finally: the Government is now shaping legislation that will define the purpose of superannuation. Is there any doubt what it's for? Isn't it for retirement savings, Christopher Joye? CHRISTOPHER JOYE: Absolutely. I mean, the purpose of super is to provide for adequate retirement incomes. But I think the concern is that, under the remit of super, product manufacturers have been able to develop products that may not serve necessarily the interest of retirees. And so they want to get greater definition around the role of super funds and their trustees and the sorts of investments they should be making. One of the key criticisms of public offer or large super funds in Australia has been that they're very exposed to risky asset classes. On average, about 77 per cent of all super fund money within public offer funds is invested in equities, which is the most volatile asset class. And with an ageing population, you know, folks want to question that decision-making process. So I don't think that's an unreasonable ambition. DAVID UREN: Well, I think a criticism was made, has been made of the super industry that it is there for retirement, it's not there for estate planning. And I think that in an appendix of the Murray inquiry there's discussion about distortions in the tax system bearing upon superannuation. And I think that some of that focus around being really sharp about what the actual purpose of super is: once you clarify that, it then becomes more possible to look at some of the tax implications which thus far, of course, the Government has been a little bit reluctant to approach. EMMA ALBERICI: We're out of time, thank you both so much. UK Alternate Finance volumes hit record breaking £746.4m ($1.5bn) lent in last quarter - more than whole of 2013! 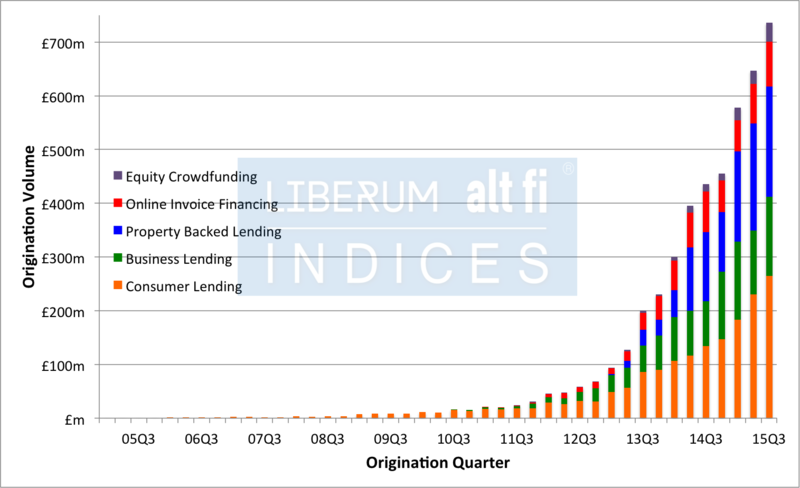 Origination volumes for the Liberum AltFi Volume Index in the month of September were £274.9m. This was a record breaking end to a record breaking quarter that saw £746.4m of finance originated by the UK Alternative Finance sector. To put this into context, this quarterly origination total surpasses the total origination of the sector for the whole of 2013 which stood at £652m. The chart below shows that the industry has resumed its growth trajectory after a quieter month of August. Six platforms posted record monthly lending figures including each of the top three. Zopa originated the most of any platform, posting £58.3m and setting a new industry record in the process. September was the third consecutive month that Zopa has topped the origination tables. We have previously identified that the major driver in Zopa’s recent growth has been institutionally funded loans. September was no exception with 63% of loans being funded by institutions. Funding Circle took second spot with £53.6m of lending, bettering their previous biggest month by over £6m and lending over £50m in a month for the first time ever. Taking the final place on the podium this month was RateSetter, lending £47.5m, a new platform best by £4m. In the middle of the month RateSetter announced that institutions were once again lending through the platform and, whilst this was a modest amount (£800k) this month, we wait to see what impact it could have going forward. Over half (59%) of the platforms within the Index reported record origination volumes. The fastest growing sector was Equity Crowdfunding with 169% growth over the last 12 months. The fastest growing lending sector was property backed lending which has exhibited 109% growth over the past 12 months. Year to date lending for the sector stood at £1.97bn at the end of September. At the end of last year, we predicted that 2015 lending would be £2.85bn, with 3 months to run, the industry looks like it will come very close to that figure, indicating that it has stayed on its growth trajectory. Alan Kohler has written an interesting article about the illusions of bank capital. This brings to mind the basic Principal-Agent problem of Banks that are 'Too Big To Fail'. The average main board director of a Big 4-5 Bank in Australia is paid at least $5m to run a very highly leveraged business with insufficient capital to deal with a significant but not unprecedented bad debt problem. Westpac in 1991 quickly became insolvent due to its exposure to property developers and there was no clawback of board remuneration. Losing your job doesn't seem to be enough of a penalty. The Principal-Agent problem is a serious one for our banking system and rarely discussed. The principal–agent problem (also known as agency dilemma or theory of agency) occurs when one person or entity (the "agent") is able to make decisions on behalf of, or that impact, another person or entity: the "principal". The dilemma exists because sometimes the agent is motivated to act in his own best interests rather than those of the principal. The agent-principal relationship is a useful analytic tool in political science and economics, but may also apply to other areas. Common examples of this relationship include corporate management (agent) and shareholders (principal), or politicians (agent) and voters (principal). For another example, consider a dental patient (the principal) wondering whether his dentist (the agent) is recommending expensive treatment because it is truly necessary for the patient's dental health, or because it will generate income for the dentist. In fact the problem potentially arises in almost any context where one party is being paid by another to do something, whether in formal employment or a negotiated deal such as paying for household jobs or car repairs. The problem arises where the two parties have different interests and asymmetric information (the agent having more information), such that the principal cannot directly ensure that the agent is always acting in its (the principal's) best interests, particularly when activities that are useful to the principal are costly to the agent, and where elements of what the agent does are costly for the principal to observe. Moral hazard and conflict of interest may arise. Indeed, the principal may be sufficiently concerned at the possibility of being exploited by the agent that he chooses not to enter into a transaction at all, when that deal would have actually been in both parties' best interests: a suboptimal outcome that lowers welfare overall. The deviation from the principal's interest by the agent is called "agency costs". A recurring conversation I have with clients concerns the ability of banks to create credit, and of governments to monetize debt, and whether this ability is the solution to or the cause of financial instability and economic crisis. Monetarists and structuralists (to use Michael Hudson’s names for the two sides, whose centuries-long debate pretty, exemplified by Thomas Malthus and David Ricardo during the Bullionist Controversy, dominates the history of economic thinking) have very different answers to that question, but I will suggest that each side disagrees because it implicitly assumes an idealized version of an economy. We are normally taught that banks allocate credit by lending the money that savers have deposited in the banking system, but in fact banks create deposits in the banking system by creating credit, so it seems to many as if they can create demand out of nothing. Similarly, if governments are able to create money, and if they can borrow in their own currency, they can easily monetize debt, seemingly at no cost, by “printing” the money they need to repay the debt (actually by crediting bank accounts, which amounts to the same thing). This means that when they borrow, rather than repay by raising taxes in the future, all they have to do is monetize the debt by printing the money needed to repay the debt. It seems that governments too can create demand out of nothing, simply by deficit spending. …in modern economics we have essentially two ways to produce permanent increases in nominal demand: either government fiat money creation or private credit money creation. I am less than half-way through this very interesting book, so I am not sure how he addresses the main characteristics of debt, nor whether he is able to explain how much debt is excessive, or identify the main ways in which the liability side of the macroeconomic balance sheet intermediates behavior on the asset side to determine the growth and volatility of an economy. He invokes the work of Hyman Minsky often enough, however, to suggest that unlike traditional economists he fully recognizes the importance of debt. And it is because of this importance that the tremendous confusion about what it means to create demand out of nothing is dangerous. When banks or governments create demand “out of thin air”, either by creating bank loans, or by deficit spending, they are always doing one or some combination of two things, as I will show. In some easily specified cases they are simply transferring demand from one sector of the economy to themselves. In other equally easily specified cases they are creating demand for goods and services by simultaneously creating the production of those goods and services. They never simply create demand “out of thin air”, as many analysts seem to think, and doing so would violate the basic accounting identity that equates total savings in a closed system with total investment. I had originally intended this blog entry to be a response to questions in some of the comments following my last blog post, but because my response turned out to be too long to submit as a comment, and because the questions lead to a far more complex answer than I had originally planned, it has become a blog entry in its own right. The questions arise in the context of a discussion of some of Steve Keen’s work among several regular commenters on my blog. Keen is an Australian post-Keynesian who heads the School of Economics, History and Politics at Kingston University in London. I’ve known of Keen’s work for many years, and last year he spoke at my PKU seminar on central banking (as has Adair Turner, by the way). He is one of the most hard-core proponents of Hyman Minsky, and regular readers know that I think of Minsky as one of the greatest economists since Keynes. In the third chapter of my 2001 book, The Volatility Machine, I explain the ways in which developing countries designed balance sheets that systematically exacerbated volatility – and which eventually led to debt-based contractions or financial crises – in terms of a framework that emerges from the work of Minsky and Charles Kindleberger. This framework – something that many Latin American economists have no trouble understanding but which has been ignored by nearly all Chinese and foreign economists covering China – explains why three decades of economic expansion in China, underpinned by rapid growth in credit and investment, would lead almost inevitably to destabilizing debt structures. Minsky is important not so much for the “Minsky Moment”, a phrase he never used, but rather because of his profoundly intuitive balance-sheet oriented understanding of the economy, something that set him completely apart from most contemporary academic economists who, for the most part, have barely begun to incorporate balance sheet dynamics into their analyses. Minsky’s insights include his now-well-known description of accelerating financial fragility, along with his explanation of why instability is inherent to the financial sector in a capitalist economy. Most insightful of all, Minsky characterized the economy as a system of interlocking balance sheets, and because he taught us to think of every economic entity as effectively a kind of bank, with one entity’s assets being another’s liabilities, it follows that economic performance is partly a function of the direction and the extent in which the two sides of each balance sheet are mismatched. Because these mismatches vary as a consequence of past conditions and future expectations, when institutional distortions are deep, balance sheet mismatches in the aggregate can be systemic, in which case they determine how an economic system behaves and responds to exogenous and endogenous shocks. Minsky’s framework made it especially easy to predict the difficulties that China would face once it began to rebalance its economy. Minsky’s framework made it especially easy to predict the difficulties that China would face once it began to rebalance its economy. China can be described as an extremely muscular illustration of Minsky’s famous dictum that “stability is destabilizing”. Its financial system was designed to meet China’s early need for rapid credit expansion, and it evolved around what seemed like permanently high growth rates and uninterrupted access to financing. Two decades of “miracle” levels of investment-driven growth, the role of the financial sector in that growth, and the unrealistic expectations that Chinese businesses, banks, and government entities had consequently developed, reinforced by sell-side cheerleaders, made it obvious that the interlocking balance sheets that make up the Chinese economy had added what was effectively a highly “speculative” structure onto the way economic entities financed their operations. This would sharply enhance growth rates during the expansion phase, much like margin borrowing enhances returns when market prices are rising faster than the debt servicing costs, but at the expense of sub-par performance once conditions reverse. The process is actually quite easy to describe, and the fact that it caught nearly the entire community of analysts by surprise should indicate just how unfamiliar economists are with the approach championed by Minsky. Ignoring the balance sheet framework does not always result in bad economics. When debt levels are low, and the economy close to a kind of Adam Smith type of economy, in which there are no institutional constraints and no entities large or important enough to affect the system as a whole, it makes sense to ignore liabilities and to analyze an economy only from the asset side in order to understand and forecast growth. Evaluating only the asset side would still be conceptually wrong, because both sides of the balance sheet always matter, but the difference between analyses that ignore the liability side and analyses that incorporate the liability side are small enough to ignore. The more deeply unbalanced an economy, the higher its debt levels, or the more highly systematically distorted its balance sheets, the more the two forecasts will diverge and the more urgent it is that economists incorporate the balance sheet in their analyses. When conditions change in certain ways, however, the differences can become too large to ignore. The more deeply unbalanced an economy, the higher its debt levels, or the more highly systematically distorted its balance sheets, the more the two forecasts will diverge and the more urgent it is that economists incorporate the balance sheet in their analyses. In a way it is like an engineer who builds a bridge using Newton’s equations rather than Einstein’s. In a motionless world, or in the close approximation in which most of us live, Newtonian errors are insignificant, and the bridge the engineer builds will carry traffic almost exactly as expected. As objects accelerate, however, these small errors eventually become vast, and the Newtonian bridge risks becoming useless. In the early 1990s the models that most economists used to analyze and explain Chinese economic growth were good enough, like the Newtonian bridge in the slow moving world in which humans operate. By the late 1990s, however, the sheer extent of bad debt within the banking system should have provided a warning that mismatches and imbalances might have become large enough to invalidate the old models. 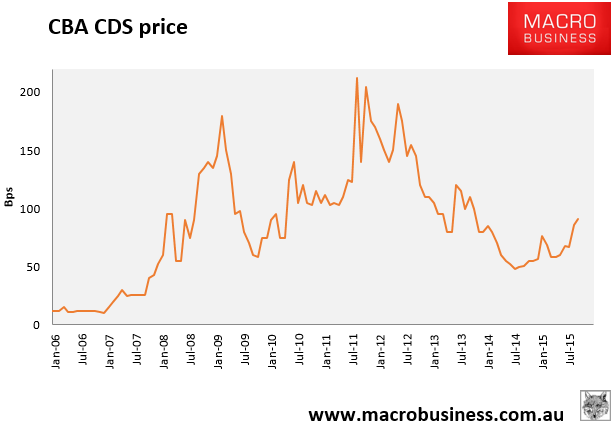 They clearly did invalidate the old models over the next few years as credit misallocation accelerated, along with the depth and direction of now-unprecedented imbalances and highly self-reinforcing price changes in commodities, real estate, stock markets, and other variables – what George Soros might have cited as extreme cases of reflexivity. To get back to the discussion in the comments section, a very brisk and active debate broke out among a number of readers over Keen’s claim that next period growth is a function of both this period’s economic conditions as well as this period’s change in debt. I won’t summarize the discussion, which is long and wide ranging, but part of the disagreements have to do with whether Keen’s dynamic model, which incorporates changes in debt, implies that the accounting identities I use are somehow invalid. One reader, Vinezi, wrote “Michael has been repeatedly saying that he is using the same identities as the basis of his research for the last 10 years. All his insights presented on this blog, which, in my opinion, are spectacularly correct, are derived from the application of these very identities”. Vinezi then goes on to ask for my response to Keen’s rejection of these identities, most importantly the identity between savings and investment. I don’t know if Keen actually rejects the identity, but I doubt that he does because he is too good a mathematician not to know that identities cannot be “accepted” or “rejected” like hypotheses or models. More generally I would never say that I am using this (or any other) identity as the basis for my research, as Vinezi states, because the point of research is, or should be, to test hypotheses (or, in a common but sloppy practice, to discover hypotheses). You cannot “test” accounting identities, however, because they are not hypothetical. They are true either by definition or as a logical necessity (which may well be the same thing), and there is no chance that they can be wrong. I do refer often to basic accounting identities, but mainly because too many economists and analysts allow themselves to become so confused by balance of payments arithmetic, money creation, and so on, that they try to explain the relationships among different variables by proposing hypotheses that violate accounting identities. In that case their hypotheses are simply wrong, and rejecting them does not require any empirical support. Rather than use empirical data to “test” the identities, it is more accurate to use the accounting identities to “test’ the data. If the data seems to violate the identities, then it must be the case that the data is incorrectly collected or incorrectly interpreted. The important point about accounting identities – and this is so obvious to logical thinkers that they usually do not realize how little most people, even extremely intelligent and knowledgeable people, understand why it matters – is that they do not prove anything, nor do they create any knowledge or insight. Instead they frame reality by limiting the number of logically possible hypotheses. Statements that violate the identities are self-contradictory and can be safely rejected. Accounting identities are useful, in other words, in the same way that logic or arithmetic is useful. The relevant identities make it easier to recognize and identify assumptions that are explicitly or implicitly part of any model, and this is a far more useful quality than it might at first seem. Aside from false precision, my biggest criticism of the way economists use complex math models is that they too-often fail to identify the assumptions implicit in the models they are using, probably because they are confused by the math, and they would often be forced to do so if they weren’t so quick dismiss accounting identities on the grounds that these identities don’t tell you anything about the economy. It’s true, they don’t. But arithmetic doesn’t tell you anything about how to build a bridge either. Unlike economists, however, engineers have no choice but to stick rigidly to the identities. While economists tolerate models that are not constrained by accounting identities because, for some reason, economists do not seem constrained by the need for their models of the economy to conform to reality, any engineer whose model for a bridge requires that two plus three equal seven would find it hard to build bridges, harder to find clients, and even harder to get a teaching job at any university. Remembering always to maintain accounting identities does not lead to true statements or to brilliant insights, but it does make it easy to reject a very large class of false or muddled statements. Just as logic doesn’t create science, but it prevents us from making bad science, identities do not create models, but they protect us from useless models. [A]n essential step in [Keynes’s] train of reasoning is the proposition that investment an saving are necessarily equal. That proposition Mr. Keynes never really establishes; he evades the necessity doing so by defining investment and saving as different names for the same thing. He so defines income to be the same thing as output, and therefore, if investment is the excess of output over consumption, and saving is the excess of income over consumption, the two are identical. Identity so established cannot prove anything. The idea that a tendency for investment and saving to become different has to be counteracted by an expansion or contraction of the total of incomes is an absurdity; such a tendency cannot strain the economic system, it can only strain Mr. Keynes’s vocabulary. This is a very typical criticism of certain kinds of logical thinking in economics, and of course it misses the point because Keynes is not arguing from definition. It is certainly true that “identity so established cannot prove anything”, if by that we mean creating or supporting a hypothesis, but Keynes does not use identities to prove any creation. He uses them for at least two reasons. First, because accounting identities cannot be violated, any model or hypothesis whose logical corollaries or conclusions implicitly violate an accounting identity is automatically wrong, and the model can be safely ignored. Second, and much more usefully, even when accounting identities have not been explicitly violated, by identifying the relevant identities we can make explicit the sometimes very fuzzy assumptions that are implicit to the model an analyst is using, and focus the discussion, appropriately, on these assumptions. A case in point is The Economic Consequences of the Peace, the heart of whose argument rests on one of those accounting identities that are both obvious and easily ignored. When Keynes wrote the book, several members of the Entente – dominated by England, France, and the United States – were determined to force Germany to make reparations payments that were extraordinarily high relative to the economy’s productive capacity. They also demanded, especially France, conditions that would protect them from Germany’s export prowess (including the expropriation of coal mines, trains, rails, and capital equipment) while they rebuilt their shattered manufacturing capacity and infrastructure. The argument Keynes made in objecting to these policies demands was based on a very simple accounting identity, namely that the balance of payments for any country must balance, i.e. it must always add to zero. The various demands made by France, Belgium, England and the other countries that had been ravaged by war were mutually contradictory when expressed in balance of payments terms, and if this wasn’t obvious to the former belligerents, it should be once they were reminded of the identity that required outflows to be perfectly matched by inflows. If Germany had to make substantial reparation payments, Keynes explained, Germany’s capital account would tend towards a massive deficit. The accounting identity made clear that there were only three possible ways that together could resolve the capital account imbalance. First, Germany could draw down against its gold supply, liquidate its foreign assets, and sell domestic assets to foreigners, including art, real estate, and factories. The problem here was that Germany simply did not have anywhere near enough gold or transferable assets left after it had paid for the war, and it was hard to imagine any sustainable way of liquidating real estate. This option was always a non-starter. Second, Germany could run massive current account surpluses to match the reparations payments. The obvious problem here, of course, was that this was unacceptable to the belligerents, especially France, because it meant that German manufacturing would displace their own, both at home and among their export clients. Finally, Germany could borrow every year an amount equal to its annual capital and current account deficits. For a few years during the heyday of the 1920s bubble, Germany was able to do just this, borrowing more than half of its reparation payments from the US markets, but much of this borrowing occurred because the great hyperinflation of the early 1920s had wiped out the country’s debt burden. But as German debt grew once again after the hyperinflation, so did the reluctance to continue to fund reparations payments. It should have been obvious anyway that American banks would never accept funding the full amount of the reparations bill. What the Entente wanted, in other words, required an unrealistic resolution of the need to balance inflows and outflows. Keynes resorted to accounting identities not to generate a model of reparations, but rather to show that the existing model implicit in the negotiations was contradictory. The identity should have made it clear that because of assumptions about what Germany could and couldn’t do, the global economy in the 1920s was being built around a set of imbalances whose smooth resolution required a set of circumstances that were either logically inconsistent or unsustainable. For that reason they would necessarily be resolved in a very disruptive way, one that required out of arithmetical necessity a substantial number of sovereign defaults. Of course this is what happened. The same kind of exercise eight-five years later, shortly after the euro crisis, made it clear that Europe was limited by similar accounting identities to three options. First, Germany could reflate domestic demand by enough to exceed the consequent increase in its domestic production of goods and services by at least 4-5% of GDP, and probably more (i.e. it had to run a current account deficit). Second, peripheral Europe could tolerate excruciatingly high unemployment for at least a decade, and probably more. Third, peripheral Europe could leave the euro and restructure its debt with substantial debt forgiveness – or, which is nearly the same, force Germany to leave the euro, which would require much less debt forgiveness – causing losses in the German banking system at the same time that it caused Germany’s manufacturing sector to drop precipitously. (A fourth option, that Europe could run huge surpluses with the rest of the world, perhaps two times or more than its current surplus, was too implausible to consider, and although Europe is certainly running irresponsibly high surpluses, they are not high enough to allow Europe to grow.) So far Europe has chosen the second option, with a high probability, in my opinion, that before the end of the decade it will be forced into the third. This is why we must keep accounting identities firmly in mind. They don’t tell us what to do, but keeping them in mind prevents us from proposing, or believing arguments, that are clearly inconsistent, or often simply idiotic. To take another immediate example, one of the few recent bits of cheer in our otherwise very glum world has been the almost teenagerish excitement with which David Cameron has been BFFing. It’s not all just unconditional friendship, however, and apparently he hopes to get big deals and significant inward investment announced in the next week. It sounds good, but, a firm grasp on the accounting identities would identify which kinds of “big deals” are likely to boost GDP and which merely to shift the locus of GDP creation. Steve Keen, ErikWim, Suvy & Willy2 claim that the mistake Michael makes is that he is using a “loanable funds model” in which savings and investment are “merely being matched with each other”. Steve Keen, ErikWim, Suvy & Willy2 are pointing to the new “endogenous money model” of the modern-banking sector in which investments can be made even without having the savings a priori. Yes? Would the “Steve Keenites” here please confirm that this is how all of you would like to correct Michael’s “flawed” identity? Michael, if you read this, would you please respond to their attack on your most fundamental research assumption? Before responding I have two parenthetical responses. First, the savings and investment identity is not my “most fundamental research assumption” because it is not an assumption at all, and it cannot be meaningfully used in research. Second, the loanable funds model does indeed permit credit to be created “out of thin air” (it is perhaps what we would call the neoclassical tradition that doesn’t, although I have to admit I don’t always keep the lines between different traditions terribly sharp), and while there is much that I find deeply insightful in both Knut Wicksell – and I assume that his “cumulative process” is part of the intellectual tradition on which “loanable funds” is based – and his rival Irving Fisher, I don’t think of the work of either of them as supporting or opposing my use of the saving and investment identity to understand global imbalances. The cumulative process analysis itself attributes monetary and price level changes to discrepancies between two interest rates. One, the market or money rate, is the rate that banks charge on loans. The other is the natural or equilibrium rate that equates real saving with investment at full employment and that also corresponds to the marginal productivity of capital. When the loan rate falls below the natural rate, investors demand more funds from the banking system than are deposited there by savers. Assuming banks accommodate these extra loan demands by issuing more notes and creating more demand deposits, a monetary expansion occurs. This expansion, by underwriting the excess demand for goods generated by the gap between investment and saving, leads to a persistent and cumulative rise in prices for as long as the interest differential lasts. This might seem indeed to violate my claim that any model that requires or even permits global investment to exceed savings is logically impossible, but this is only because the difference lies in what economists call the ex ante quantities. This means that at any given money interest rate (other than the natural interest rate), desired savings may differ from desired investment, but one or the other (or both) must adjust so that in the end they do equate, the result being a sub-optimal amount of investment. Excessively low interest rates in China (until 2012) meant, for example, that desired investment was far too high, and much higher than desired savings, but in a financially repressed system, as I have shown many times, low interest rates can actually force up savings by constraining the household income share of GDP, which is what happened not just in China before 2012 but also in Japan in the 1980s. But it is possible not because banks can fund investment by creating debt “out of thin air”. This statement is either highly confused or it too-easily leads others into confusion. There is a related form of this question that often seems to come out of the MMT framework, although I have no idea if this is a misreading of MMT or if it is fundamental to the theory, but while banks can create debt, they do not automatically create additional demand. According to MMT, as I understand it, there is no limit to fiscal deficits because governments who control the creation of money can repay all obligations regardless of their taxing capacity simply by monetizing the debt (which of course means nothing more than exchanging debt which we call “debt” for debt which we call “money”). A lot of people seem to think that this means the state can create demand out of thin air, and so demand created by the state can be added to existing demand with no other change, including no increase in savings. If savings and investment had previously balanced, according to this argument, and the state creates new demand, either this new demand is in the form of investment, in which case investment becomes greater than savings, or the new demand is in the form of consumption, in which case savings is reduced (savings is the obverse of consumption), and so once again investment exceeds savings. This seems like a perfectly logical argument, except that it is perfectly impossible. For reasons that I will explain in the appendix to this essay, to say that investment is greater than savings is to say that the total amount of goods and services we produce is greater than the total amount of goods and services we produce, and that cannot be true. So where is the flaw in the argument? It turns out that thanks to these same identities it is pretty easy logically to work out the flaw, and in fact to extend this process of working it out to show – and maybe this is contrary to what MMT implies, or at least to what many people think MMT implies – that there most certainly are limits to fiscal deficits, and that the state’s ability to monetize its debt does not mean that it can borrow indefinitely without, eventually, destroying the economy and undermining the credibility that allows it to borrow in the first place. In the first case, assume that we are in an economy in which there is absolutely no slack. Workers are fully employed, inventories are just high enough to allow businesses to operate normally, factories are working at capacity, and infrastructure is fully utilized. If in this case Thin Air’s expenditures cannot be satisfied without diverting goods and services that are being used elsewhere. Whether the new credit or the deficit spending goes to support investment or to fund consumption, all the goods and services that an economy is capable of creating are already being used by other economic entities. This means that if Thin Air wants to spend money to buy goods and services, it must displace some other entity that is already using the goods and services that are being created by the economy, and it can only do so by bidding up the price of wages or resources. As a result prices will rise, and these higher prices will reduce the real value of money. As a result, and because higher prices reduce the total amount of goods and services that can be acquired with a fixed amount of money, every economic entity that is long monetary assets – assets such as money, deposits in the bank, bonds, or most expected payments, like wages, pension receipts, etc. – loses some amount of wealth equal to the reduction in the real value of these monetary assets. Everyone who is short monetary assets – anyone who has fixed obligations, for example a borrower, or an employer who owes wages, etc. – gains some amount of wealth. The losses of the former exceed the gains of the latter, with the balance representing a net transfer of wealth to the government or to the bank that created the loan for Thin Air. The transfer need not occur only through inflation. In a financial system that is highly repressed, Thin Air’s actions might even be disinflationary. China’s case shows how. Until 2012 whenever credit was created by the system, it was done so at extraordinarily low interest rates – nominal lending rates were often negative in real terms, and were always a fraction of nominal GDP growth rates, and deposit rates were always seriously negative in real terms – and these low rates represented a transfer of purchasing power from net savers, who were households for the most part. In that case the consequent growth in production exceeded the consequent growth in consumption (because it repressed household income growth) and so was disinflationary, but once again Thin Air’s spending represented a transfer because it simultaneously suppressed consumption. Demand can only be created “out of thin air”, in either case, by suppressing consumption or investment elsewhere (in the latter case it is often called “crowding out”). At the moment the new demand is created, there is no change in the real value of GDP, although of course nominal GDP can rise or fall, depending on whether the transfer is inflationary or disinflationary. Either way, if the suppressed demand consisted of investment, investment in the rest of the economy declined, whereas if it consisted of consumption, savings in the rest of the economy rose. This reduction in investment, or increase in savings, is the exact obverse of the increase in investment or consumption set off by the new demand created “out of thin air”, so that at no point is the identity between savings and investment ever violated. In the second case, assume the other extreme, in which the economy has a tremendous amount of slack – there are plenty of unemployed workers who have all the skills we might need and can get to work at no cost, factories are operating at well below capacity and they can be mobilized at a flick of the switch, and there is enough unutilized infrastructure to satisfy any increase in economic activity. In this case when loan creation or deficit spending creates demand “out of thin air”, in other words, it also creates its own supply. When Thin Air spends money to buy certain goods or services, those goods and services are automatically created by switching on the factory equipment and putting unemployed workers to work. There is also a multiplier at work here. Assume that Thin Air’s spending is for investment, and that it plans to acquire $100 of goods and services for investment purposes. Because it has no need to build capacity or acquire inventory, the full expenditures will go towards paying wages. Let us further assume that the newly hired workers save one-quarter of their income. As Thin Air pays wages, the workers will spend 75% of those wages on their own consumption, and they will save 25%. Their own consumption will require the production of additional goods and services, which will require hiring more workers. In order that Thin Air acquire $100 of goods and services, it can easily be shown that the total expenditures of Thin Air and of consuming workers will be the original $100 divided by the 25% savings rate, so that in the end GDP will rise by $400, consisting of $300 additional consumption and $100 additional investment. Because the increase in GDP exceeds the increase in consumption by $100, total savings will have risen by $100. In an economy with enough slack to absorb Thin Air’s investment fully, in other words, the investment creates enough of a boost in the total production of goods and services that it becomes self-financing – it increases savings by the same amount as it increases investment. Notice then, once again, that at no point is the identity between savings and investment ever violated. In reality no economy will ever have zero slack, as in the first case, or full slack, as in the second, but instead will exist in some combination of the two. In that case Thin Air’s demand created “out of thin air” will partly be met by suppressing demand or investment elsewhere within the economy, and partly by creating the larger amount of goods and services needed to satisfy the increased demand. An important point that is often obscured by the intensely political discussion about savings is that in the second case, in which the demand created by Thin Air creates its own supply, it turns out that the lower the savings rate, the more GDP is created by any additional spending unleashed by Thin Air. Savings automatically rises to fund investment by causing the total amount of additional goods and services produced to rise by more than the total amount of additional goods and services consumed, with the difference between the two, savings, rising by exactly enough to fund Thin Air’s investment (and the same can easily be proven to be true if Thin Air’s expenditures were actually in the form of consumption). What this exercise shows, among other things, is that in an economy working at full capacity, a higher savings rate is likely to increase GDP by more than a lower savings rate, whereas in an economy operating with a considerable amount of slack, i.e. with high unemployment and low capacity utilization, a lower savings rate is likely to increase GDP by more than a higher savings rate. What this also shows is that in an economy that has recently experienced a crisis, with falling output to below capacity, there is a tendency for households to raise their savings rate, and because of the multiplier, as they increase their savings rate the reinforce the downward trend in the economy. As an aside this exercise also helps to reconcile the monetarist tradition with the structural tradition (within which I think MMT belongs). The debate between the two is a debate that has been raging for hundreds of years, most famously during the debate over the causes of inflation during the Napoleonic War, with the monetarists, or extreme bullionists led most famously by David Ricardo, and the structuralists, or moderate bullionists, led most famously by Malthus. Neither side is right or wrong except under specified conditions. The monetarists operate in a supply-sider’s world of full capacity utilization and zero unemployment, whereas the structuralists operate in a Keynesian world of weak demand, high unemployment and low capacity utilization. If Thin Air suppresses private sector investment to fund investment, it becomes a little more complicated, and depends on which of the two “investments” is more productive. Because monetarists usually do not believe that government can ever choose investment projects that are more productive than the market can, they would argue that if Thin Air were a government agency engaged in deficit spending, GDP growth would be reduced, because more productive investment by the private sector was suppressed in favor of less productive investment by Thin Air. There are however many cases of highly productive investment that the government directed in the past which the private sector was unlikely to have initiated. Today, with the private sector unwilling to fund much productive investment because of weak demand, much private sector investment consists of buying assets, which is not productive. In countries that have weak infrastructure, if Thin Air, whether a government entity or a government-encouraged entity, were to build infrastructure, it would almost certainly lead to higher growth. In the second case, the structuralist’s world, as long as there is enough slack in the economy that the new demand causes an increase in output that is equal to the sum of new demand and the marginal cost of new output, it is sustainable. Otherwise we eventually revert to the first case. Monetarists always insist that if the government is to spend money, it should not be in the form of deficit spending. The expenditure should be fully funded by tax increases. Notice however that in the first case, the monetarists’ world, expenditures are fully funded by tax increases, but this tax consists of the inflation tax. The monetarists argue that deficit spending, aside from reducing overall productivity, is inherently inflationary and increases economic uncertainty by undermining the stability of money. This is likely to be true the closer we are to an economy that resembles the first case. Finally one of the stranger and more incoherent arguments used by China bulls to propose that China’s large and soaring debt burden doesn’t matter is that China “owes the money to itself”. In that case why not simply monetize or socialize the debt, as MMT seems to suggest? One of the reasons is that in a world without an infinite amount of slack, monetizing the debt is no different than paying taxes, except that the tax is borne by those who are long monetary assets, i.e. Chinese household. If China were to monetize the debt, which is effectively what it did in the past decade to resolve the enormous amounts of bad debt it had accumulated in the 1990s, this would simply reduce the household share of GDP, just as it did then, and with it the household consumption share. Put differently, it would force up the savings rate, which is the opposite of what China needs to do it if it to limit the growth of its debt burden. And notice that as the savings rate rises, growth drops through the declining multiplier as the GDP impact of Thin Air’s activities increases the savings rate. What this exercise shows is that fiscal deficits or credit creation are good for the economy when there is enough slack in the economy that Thin Air’s expenditures do not suppress investment or consumption elsewhere in the economy, and they are good for the economy if and when Thin Air’s spending is more productive than private sector spending. Otherwise they are bad for the economy and are not sustainable. But we already knew that. Supply-siders have explained why it is the case in a well-functioning economy, and Keynesians have explained why it is the case when the economy is operating far below capacity. While defining investment and saving as different names for the same thing might at first glance seem a useless exercise, in fact, as I argued most recently in my long review of The Leaderless Economy (Peter Temin and David Vines), it is a rich way of understanding the links among national economies within the global economy as a single system. “Savings” can be defined in a number of ways, but the most useful way, and the convention in economics, is to define the supply of all the goods and services an economic entity produces in any period as consisting of two things. The first is everything currently consumed, including things that are lost, thrown away, or that rot away to nothing. What is left and stored for future use is savings. The intuition is fairly obvious: everything that the economy produces is either currently consumed (or used up in some way), or it is set aside for future consumption, and we define savings broadly as whatever we set aside for future consumption out of current income. The important point is that these are accounting identities and are true because of the way we defined them. Supply is equal to demand (another accounting identity), so that we can restate the accounting identity by saying that the demand for everything produced is either the demand for stuff we currently want to consume, or it is the demand for stuff that we want to use for future consumption. We call the latter “investment”. We might find it useful to further distinguish between two kinds of investment. One, which we might call an increase in “inventory”, consists of taking some of the goods we consume and storing them for later consumption. The other consists of goods and services that we cannot directly consume, but we produce them anyway because they might help us produce even more goods and services for us to consume in the future. If we produce a hammer, for example, or a tractor, we will probably never want to “consume” either, but these can help us produce even more goods and services in the future. Buying an existing asset is often called “investing”, but we can safely ignore its impact, either because we define investment as setting aside additional goods and services, or, if we decide to define the buying of existing assets also as investment, because in that case the existing asset is simultaneously an increase in investment and an equivalent increase in savings. Either way it does not change the result of our accounting identity at the time it occurs, although of course when enough money is invested in existing assets so that its price rises, we may feel wealthier and so reduce our savings, or, which is the same thing, increase our consumption. Because the supply of all the goods and services that an economy produces is equal to the demand for all the goods and services that an economy produces, then as long as we are consistent in our definition of consumption, it is true by definition that investment is equal to savings. This is only the case, of course, in a closed system, like the global economy. In an open system, like a country, investment and savings are rarely equal, but the sum of the excess of savings over investment in some countries and of the excess of investment over savings in others must always equal zero – another accounting identity. Perhaps the most serious issue with foreign investment is that it effectively disguises a lack of domestic savings. But domestic savings are the result of Americans’ individual and governmental decisions and are only modestly influenced by foreign demand for U.S. assets. We have our economic destiny in our own hands. Because savings and investment must always balance, the idea that the savings rate in any country is determined at home is nonsense. In countries that intervene heavily in trade and capital flows, this is almost true, but in countries that don’t, like the US, the truth is almost completely the opposite. The US does not determine its own savings rate, and almost cannot as long as it allows unlimited access by foreigners to its asset markets. Knowing the accounting identities would have made this very clear. Professor, Peking University’s Guanghua School of Management Wall Street veteran, merchant banker, equities trader, economist, finance professor, entrepreneur — iconoclast — Michael Pettis is a unique individual living and working in China, at the heart of the world’s most exciting and vibrant economy. Having learned firsthand how markets operate during his years on Wall Street, Michael has taken his knowledge and insight and applied them to the Asian financial markets as an expert analyst, commentator, and participant. His work and research focuses on monetary policy, trade policy, and the development of the banking and financial markets in China. Michael is the author of The Volatility Machine: Emerging Economics and the Threat of Financial Collapse. The book is a classic examination of the causes of financial crises in emerging-market countries and is critical reading for investors, businesspeople and anyone else interested in understanding where the international economy is going. His current book is Avoiding the Fall: China’s Economic Restructuring. He is also co-author of the recently published The Great Rebalancing: Trade, Conflict, and the Perilous Road Ahead for the World Economy. Michael is a contributor to the Financial Times. He is published in Foreign Affairs,Foreign Policy, Far Eastern Economic Review, and The Wall Street Journal, just to name a few. Pettis writes an influential and widely-respected blog China Financial Markets. An entrepreneur and music lover, Michael is a force in the Beijing indie-music scene as a club owner, talent manager representing local bands, and record label owner. Co-founder, D-22, an indie rock club in Beijing. MIA (Master of International Affairs) in Development Economics, Columbia University. The emerging fintech sector has no shortage of ideas and energy, and celebrated Gangnam Style when Malcolm Turnbull recently elevated himself to patron saint of innovation. While some policy finetuning at the federal level is still to come, it’s becoming clear fintechs have to sharpen up their own acts, at least in terms of their awareness of the requirements of the regulatory and licensing system. On this issue, ASIC’s engagement with the sector has been first-class. Last Thursday night, commissioner John Price and senior executive leader, strategic intelligence, Mark Adams, spent a few hours at a Melbourne fintech meet-up hosted by KPMG. While Price didn’t put it so bluntly, one of his key messages was that there are mutual obligations. The watchdog will continue to engage and do as much as it can to help fintech start-ups navigate some complex regulatory hoops, but, just like the start-ups, it has limited resources. It also has an overriding mandate to promote trust and confidence in the financial system and its users, which means no compromise on core principles even if there’s the power to grant waivers at the margin. At ASIC’s highest levels, there’s a recognition that fintech companies — to varying degrees — are disrupters, often with little or no exposure to the regulatory system, and are trying to leverage new business models. However, if they’re after a quick turnaround from ASIC, they should come well prepared. Slide packs should include an easily digestible explanation of their business models, some idea of why their models are innovative, and a convincing story about how it will benefit consumers and investors. They should also be able to broadly identify the regulatory issues that confront them. If they’re at all unsure about these issues, the companies should consult with ASIC. Price provided a breakdown of the 43 fintech companies ASIC has informally assisted. The most popular segment was roboadvice (19), followed by payments (6), marketplace lending (6), crowd funding (5), markets (2) and other (5). Ever since Clayton Christensen wrote The Innovator’s Dilemma almost 20 years ago, institutions have been wrestling with the concept of sustaining technologies and disruptive technologies. Sustaining technologies enable existing companies to improve existing businesses. Disruptive technologies usually destroy existing businesses. For taxis, GPS was a sustaining technology and Uber is a disruptive technology. All those who wore red t-shirts to the party are targets for disruption. A KPMG report on the Australian financial services industry released last year said that disruption threatens 25 to 30 per cent of existing banking revenue and, further ahead, it will endanger 50 per cent of bank revenue. Rachel Botsman, who identified the new economy earlier than most, says finance is the sector that has the highest risk of disruption because it has so many retail outlets and middlemen, trust in the system is low, there are many restrictions on access to money and there are complex fees and processes around it. As Prime Minster Malcolm Turnbull announced his new ministry on Sunday afternoon, he said if Australia wants "to remain a prosperous, first world economy with a generous social welfare safety net, we must be more competitive, we must be more productive and, above all, we must be more innovative. We have to work more agilely, more innovatively, [and] we have to be more nimble in the way we seize the enormous opportunities that are presented to us." His comments reiterated similar ones made last week after he dethroned Tony Abbott. Australia has to recognise "that the disruption that we see driven by technology, the volatility in change, is our friend if we are agile and smart enough to take advantage of it", Turnbull said, urging us to become "a nation that is agile, that is innovative, that is creative". While Turnbull was talking about the economy broadly – and it remains to be seen whether the rhetoric will be backed with action – his comments were a symphony to the ears of both financial services incumbents and fintech disrupters. On Tuesday night last week, around 300 people gathered at the Tyro fintech hub in Sydney for a meet-up and there was a buzz in the room from the events in Canberra the day before. KPMG's global co-head of fintech and national head of banking Ian Pollari spoke with dozens of entrepreneurs that evening and says he received "universally positive feedback from the fintech community, who have welcomed the new Prime Minister's public recognition of the importance of embracing innovation and technology-led disruption". The big banks are on the same page. At a Trans-Tasman Business Circle lunch in Sydney on Wednesday, Westpac Banking Corp's chief executive, Brian Hartzer, was optimistic that a Turnbull-led government understood the potential for technological disruption to be employed as a driver of growth and productivity – which is how Westpac and other big banks are thinking about it. "In one of his first statements, [Turnbull] talked about a nation that is agile, innovative and creative, a nation that sees technology-driven disruption as a friend of growth," Hartzer told his 400-strong audience. "We agree." To help the fintech and other tech industries blossom, it is crucial the right tone is set from the very top of government; this will provide cues for government ministers and, perhaps more important, the bureaucracy, to realise fostering a culture of innovation across the economy requires the attention of many departments, from Treasury, to Education and Immigration. It is encouraging that bipartisan support for developing policy to turbocharge an innovation, technology-led economy is gathering speed. Earlier this year, the Parliamentary Friends of Innovation and Enterprise Group was established under the guidance of Liberal Tony Smith and Labor's Terri Butler; since Smith moved into the Speaker's chair, Wyatt Roy has taken a leadership role in the group. The Liberals' Paul Fletcher, a former Optus executive, and David Coleman, the former head of ventures at Nine Entertainment, are also big supporters of the innovation policy push, as are Labor MPs Ed Husic and Jason Clare. Turnbull addressed the launch of this Friends of Innovation group on March 26 in one of Parliament House's internal courtyards. "This is the most exciting time to be alive," he told the small group of media. "We are living in an age of invigorating, exhilarating disruption driven by technology. Great, well-established businesses are being shaken, government departments are being shaken – everything is in a state of flux, and the game will be won by those that are agile and imaginative. "There is no shortage of technology as we move into the internet of things, where everything will be connected over the internet ... The technology is there – the critical thing we have to supply is imagination. This is why innovation is so important," Turnbull continued. "Innovation is just another word for describing creativity, right across our economy and society. We have to change our culture to build on that great tradition, that non-differential tradition, of innovation. We are naturally, an innovative nation ... and we have to be more disruptive and more innovative than ever before." While these comments can be applied to many parts of the economy, including the ICT [information, communications and technology] and medical sectors, the fintech scene is being spurred by the particular attention being paid to it by several of Turnbull's closest confidants. Fletcher, who served as parliamentary secretary to Turnbull as minister for communications, has been actively promoting fintech. "Governments in Britain, New Zealand and many other countries have a clear focus in this area, so we will need to work hard if Australia is to capture a fair share of the fintech opportunity," he wrote in The Australian in June. Fletcher attended the opening of the Sydney fintech hub Stone & Chalk last month, as did another close supporter of Turnbull, Arthur Sinodinos. But no one is more attuned to the fintech opportunity than Turnbull's wife, Lucy, the former lord mayor and prominent director. In her role as chair of the Committee for Sydney, Lucy Turnbull identified the fintech opportunity more than 18 months ago, commissioning KPMG's Pollari to write a research report that provided the momentum for the creation of Stone & Chalk. 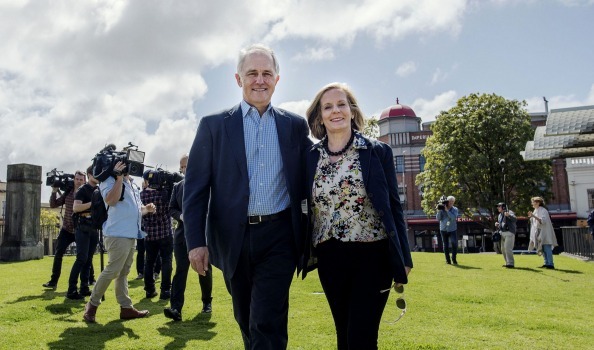 Lucy Turnbull understands that developing a thriving fintech scene will have a multiplier effect throughout the economy, and will be able to give a lift to other creative industries including design, engineering and computer science. The Committee for Sydney "will seek to help accelerate Sydney's growing position in the region's financial services industry by supporting its burgeoning fintech scene and the eco-system and environment required to sustain it," she wrote in the introduction to the report. She also said policy development from the commonwealth was needed "to ensure that we have competitive tax and visa regimes in place to enable Sydney to attract the global talent and investment required to maintain its existing status as the nation's centre for both finance and ICT and indeed to enable it to increase its economic significance in the region." Last week, as the political machinations in Canberra reverberated around Australia, London was hosting its second annual fintech week, which was attended by a delegation of 10 Aussie start-ups on the invitation of UK Trade & Investment, which is trying to lure innovation talent to London, where an estimated 44,000 people are working in fintech. One member of the delegation was Toby Heap, the managing director of fintech accelerator H2 Ventures, previously known as AWI Ventures – which was launched by Malcolm Turnbull at the start of last year. "The fintech ecosystem and atmosphere in London is impressive but it is not out of reach for Australia if the Turnbull-led government can get behind it," Heap says from London. "In Australia, there is a chicken-egg problem, where investors talk of a lack of quality deal flow, and start-ups complain of a lack of funding opportunities. I think that the number one policy that is driving the early-stage tech ecosystem in the UK is the Seed Enterprise Investment Scheme, which gives investors a 50 per cent tax deduction on investments made in early-stage start-ups, as it has led to huge growth in the number of start-ups, which then leads to more deal flow for later-stage investment funds." Pollari says Turnbull's narrative last week "must be followed up with well-coordinated policy measures, regulatory and tax reforms to support local entrepreneurs and enable Australian businesses to be more innovative, agile and responsive to change." The digital revolution sweeping through the banking sector is set to wipe out almost two-thirds of earnings on some financial products as new technology companies drive down prices and erode lenders’ profit margins. This is one of the main predictions by the consultancy McKinsey in its global banking annual review to be published on Wednesday, portraying banks as facing “a high-stakes struggle” to defend their business model against digital disruption. McKinsey said technological competition would reduce profits from non-mortgage retail lending, such as credit cards and car loans, by 60 per cent and revenues by 40 per cent over the next decade. It predicted a smaller, but still significant, chunk of profits and revenues would be lost from payments processing, small and medium-sized enterprise lending, wealth management and mortgages. These would decline between 35 and 10 per cent, McKinsey said. He said most technology companies were focused on picking off the most lucrative parts of banks’ relationships with their customers, leaving them as “dumb” providers of balance sheet capacity. McKinsey said banks last year made $1.75tn of revenues from origination and sales activities, on which they earned a 22 per cent return on equity, while they made $2.1tn of revenue from balance-sheet provision at a return on equity of only 6 per cent. The consultancy said the industry had two choices. “Either banks fight for the customer relationship, or they learn to live without it and become a lean provider of white-labelled balance sheet capacity,” it said. While predicting upheaval in the future, McKinsey said there was no evidence that digital disruption had started to eat into banks’ market share yet. Banks’ share of global credit provision has been constant over the past 15 years. Mr Härle said one factor that could slow down the erosion of banks’ market share was if regulators decided to clamp down on the disrupters by imposing similar capital and compliance rules as those faced by banks. McKinsey calculated that profits from all banks reached a record of $1tn last year, helped by rapid growth in Asia and particularly in China and as US lenders rebounded from the financial crisis. The average return on equity was stable at 9.5 per cent, as cost-cutting offset falling margins in the low interest rate climate. Almost two-thirds of developed market banks and a third of those in emerging markets earned a return on equity below their cost of equity and were valued below their book value. (6 October 2015 – Sydney) While demand for business banking services is growing at a rapid pace, established brands and startups in the ‘fintech’ space are missing out, research from banking analysts East & Partners (E&P) reveals. The Business Banking Index (BBI) found that 39 percent of businesses in the Micro and SME segments could not recall a single fintech brand. The figure increased to over 50 percent of Corporates and nearly 60 percent of Institutional enterprises surveyed. The BBI measures banking sentiment among approximately 1,000 CFOs, treasurers and business owners from enterprises across the Micro (A$1-5 million), SME (A$5-20 million), Corporate (A$20-725 million) and Institutional (A$725 million plus) segments. In addition to monitoring several key drivers including advocacy, empathy, satisfaction and loyalty, the Index measured the Australian business community’s awareness of “fintech” companies (specifically within accounting, small business lending, payments and business FX) and their product offerings. In total, sixteen separate companies were nominated, including cloud based accountancy software provider Xero, small business accountancy software provider Quickbooks, fast growing EFTPOS provider Mint Payments and FX providers HiFX and OzForex. Of the companies that were able to recall a fintech business, only 61.6 percent were aware and understood what product or service that fintech was offering. “Although there has been a long term upward trend in negative sentiment from small businesses towards their bank, feedback indicates that non-bank providers are not taking full advantage of the gap in the market,” said E&P’s Head of Markets Analysis, Martin Smith. “Either local businesses are not familiar with fintech companies at all, or do not know what products and services they provide. “This lack of awareness of technology based non-bank providers is having a direct flow through to these fintechs balance sheets as they are failing to capitalise on increasing appetite for additional business banking services as highlighted in the BBI by way of their client base not being aware of them,” he said. Since 2013, appetite for additional business banking services in the next month has increased from +17.1 percent to +22.3 percent (on a scale of –100 percent decreasing to +100 percent increasing). By segment, Corporate businesses are the most bullish (+25.2 percent) while Micro businesses continue to lag considerably (+15.4 percent) in their demand for additional banking services. Nationally, Queensland businesses report the highest level (+36.3 percent) of demand, however there has been rapid growth reported by NSW companies, increasing from +16.8 percent to +25.6 percent in the last two years. “It is abundantly clear that businesses across the board not only want, but need additional business banking service. The demand is firmly there,” said Smith. The East & Partners Business Banking Index is a bi-monthly Index of business customer behaviour towards banks. The Index provides a monitor of several key drivers of customer engagement behaviour with their banks including advocacy, empathy, satisfaction, loyalty, detraction and mind share. The BBI has proven clear predictive correlations based on customer engagement behaviour and intentions with key bank performance outcomes both in aggregate and by individual bank. Its leading predictors are strongly connected with measures such as market share, customer retention, wallet share, product cross-sell and bank margins. University of Melbourne: Does Australia Need A New Banking Model? The main objective of the banking system is to facilitate economic activity through the effective provision of core financial services such as payment services, savings accounts and loans. Without access to cost-effective basic financial services, participation in economic activity is severely impaired, if not impossible. In a modern society, all citizens should be entitled to these services at a price that equals their cost, as they are to clean water. In Australia, where the banking system is dominated by four major banks, core financial services are often not provided at cost and exclude significant parts of society. High net interest margins on residential mortgages, high fees on superannuation accounts, a lack of credit for small- and medium-sized enterprises or rural Australians, the unavailability of key risk management products, such as fixed-rate residential mortgages or annuities, are examples that spring to mind. Of course, banks do not just provide core financial services. They are also employers, investment opportunities and taxpayers. That creates possibly conflicting goals. With perfect competition, market forces manage those conflicts and ensure efficient allocation of capital. Unfortunately, financial markets are among the most imperfect markets we know. Some of these imperfections, including information asymmetry, are inherent in many financial products. Others, like market concentration, derive from competition policy and implicit government guarantees. The provision of financial services therefore requires strong and effective regulation, but a lack of resources and enforcement powers cripples Australian regulatory agencies. Regulators are further obstructed by the complexity of the major banks. This complexity is a result of full-service banking, the dominant business model in banking today, where each (large) bank offers the entire range of financial products. Due to the size of these banks and their interconnectedness with the financial system and the economy, they are considered ‘too-big-to-fail’ and ‘too-big-to-manage’. But, they are also too big to be regulated effectively. It is argued that the proliferation of the full-service model is justified with efficiency gains. Large integrated banks, so it is claimed, have more potential for diversification and can provide banking services at lower cost. But, there is a major flaw in this model. Since all business lines are integrated within a single entity and financed by the same pool of capital, risks can no longer be isolated from each other. The banks' capital providers—mostly depositors—are exposed to the entirety of a bank's businesses and its entire pool of risks. The Global Financial Crisis (GFC) provides evidence supporting this claim. In the United States, losses at the major banks originated mainly in institutional business and proprietary trading but spilled over into other business lines and were borne by all stakeholders including depositors and—through government guarantees and support—taxpayers. Another argument for the support and protection of the ‘Big Four’ banks is financial stability. A market structure that gives the big banks enough power to generate substantial profits, it is argued, will support the building of a stock of capital that allows the banks to withstand a financial crisis. Again, the experience of the GFC casts doubt on the validity of this claim. The weakest argument underpinning the ‘four pillars’ policy is global competitiveness—that for Australia to be internationally competitive and make claims to be a regional financial centre, we need large banks that compete globally. While always a stretch, the emergence of the Asian economies and their financial centres undermines this argument. How can we achieve cost-effective provision of core financial services while also pursuing other goals such as employment growth and innovation in banking? Should there be further consolidation into the ‘Big Three’ and, eventually, just one large bank? If history is any guide, it is unlikely that consolidating into even bigger institutions will achieve this aim. Instead, it would increase conflicts between the competing goals of banking and worsen outcomes at least for the less-connected stakeholders. Worse, it would increase systemic risk for, and the potential burden on, the Australian taxpayer. An alternative solution is the break-up of large banks into low-risk (retail and commercial banking) and high-risk (investment banking) entities, as in the United States from the 1930 s under Glass-Steagall. Again, it is not clear whether such a move would address the fundamental problems. We suggest a third solution: the establishment of a public-sector institution that provides core financial services, such as payment services, savings accounts, mortgages and other basic forms of credit, to retail customers and small- and medium-sized enterprises. We think of it as a utility that ensures cost-effective provision of basic banking services to all Australians. The institution would be independent but backed by the Commonwealth Government and funded by (government) equity, deposits and public debt. It would be governed by an independent board, be transparent and accountable to the public. 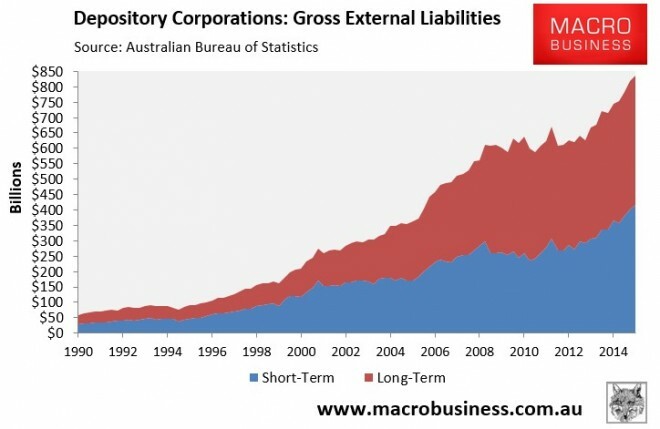 High standards of corporate governance and risk management would be critical for the success of such an institution and to avoid the experiences of the Australian state banks in the 1990s. Comparable institutions have successfully existed in many European countries such as Germany (Sparkassen, Landesbanken), the Netherlands (Nutsspaarbank) and Switzerland (Kantonalbanken, Postfinance), where they have played a crucial role in economic development. A major advantage of such an institution would be its focus on core banking activities, in isolation from non-core, higher risk activities. Another crucial advantage would be the alignment of the interests of the providers of capital (mainly the government and depositors) with the mission of the institution, the cost-effective provision of core banking services to the public. The rigidity of the local banking system and its consequences have wider implications. Australia faces momentous economic challenges including the transition from an industrial to a knowledge-based economy and a large gap in retirement funding. Addressing those challenges requires an efficient, innovative and resilient banking system that facilitates the cost-effective allocation and management of capital. But there is an opportunity, too. With one of the world's most advanced retirement savings systems and one of the world's largest pools of assets under management, Australia is well-placed to develop into a global centre in asset management, particularly for retirement savings. Today's banking system seems ill-equipped to achieve this global position. The Big Four struggle with too many competing goals and lack incentives to innovate. The high degree of market concentration—partly as a result of government policy—limits access of new firms, stifling competition and innovation. That translates into a lack of attractive jobs, stimulating many of Australia's brightest graduates to migrate to the major financial centres like New York, San Francisco, London, Hong Kong and Singapore. Solely relying on ‘the market’ to unlock this potential will fail, as it has in the past. What is required is political and commercial vision and the courage to make substantial changes to the banking system. In a fast-changing and highly competitive world, a commitment to conserve the status quo will only lead to slow, withering decay. Of course it’s still early days. Although net interest margins will begin to be squeezed over time funding costs do not become critical until they get above about 120bps which is where non-bank lenders become unecomomic. Banks are a little higher. Kevin Moseri looks at disruption in the lending sector, the success of which he attributes to alternative finance. The rapid rise in popularity of alternative finance is responsible for the major disruption taking place across the whole lending regime. It’s no longer safe for banks to assume that their core lending regimes are impervious to disruption. Alternative to what, exactly? The banks. Alternative finance encompasses a range of diverse models with clear distinctions such as people lending money to each other or to businesses, to people donating to community projects and businesses trading their invoices. It’s no longer just a seeding stage for startups, but a viable and attractive avenue for companies to raise capital at every stage of the funding cycle. In an earlier post, Fintech 2.0 and the C-Word: Collaboration, I talked about how it’s increasingly becoming evident that banks are willing to support startups to innovate within the banks’ ecosystem. Likewise, the reality is that the coexistence of venture capital and alternative finance has now developed collaborative and synergistic models, and these models are rapidly increasing as banks and venture capital firms realize the scope of alternative finance. What are the various European alternative finance models? Peer-to-peer (P2P) business lending (Funding Circle, Zopa, Auxmoney etc) – Debt-based transactions between individuals and existing businesses (mostly SMEs) with many individual lenders contributing to any one loan. Donation-based crowdfunding (Kickstarter, Indiegogo etc) – Individuals donate small amounts to meet the larger funding aim of a specific charitable project while receiving no financial or material return in exchange. Invoice trading (Platform Black, IFG etc) – Companies sell their invoices at a discount to a pool of individual or institutional investors in order to receive funds immediately rather than waiting for invoices to be paid. Peer-to-peer (P2P) consumer lending (Zopa, Funding Circle, Lending Works etc) – Individuals use an online platform to borrow from a number of individual lenders, each lending a small amount; most are unsecured personal loans. Community shares (Microgenius, The Community Shares Company etc) – The term community shares refers to withdraw-able share capital; a form of share capital unique to cooperative and community benefit society legislation. This type of share capital can only be issued by cooperative societies, community benefit societies and charitable community benefit societies. Equity-based crowdfunding (Seedrs, FundedByMe, Crowdcube etc) – Sale of a stake in a business to a number of investors in return for investment, predominantly used by early-stage firms. Pension-led funding (Alternative Business Funding, IGF etc) – Mainly allows SME owners/directors to use their accumulated pension funds in order to invest in their own businesses. Intellectual properties are often used as collateral. Reward-based crowdfunding (Kickstarter, Indiegogo etc) – Individuals donate towards a specific project with the expectation of receiving a tangible (but non-financial) reward or product at a later date in exchange for their contribution. Debt-based securities (Zopa etc) – Lenders receive a non-collateralized debt obligation typically paid back over an extended period of time. Similar in structure to purchasing a bond, but with different rights and obligations. The European alternative finance market grew by approximately 144% in 2014 and is predicted to reach €7bn by the end of 2015. Three things have contributed to this trend: speed, simplicity and transparency. However, there are structural risks that could derail the trajectory that alternative finance is on, such as interest rate hikes, new regulations, frayed banking relationships, and other unforeseen factors. – This article is reproduced with kind permission. Some minor changes have been made to reflect BankNXT style considerations. You can read the original article here. Budget 2014 in the UK announced that the government would consult on whether and if so, how, to take legislative action to help match small and medium sized enterprises (SMEs) that have been rejected for loans with challenger banks and alternative finance providers who are looking to offer finance. The government believed that positive action in this area would be an important step to improve access to finance, and would encourage a more competitive banking sector. The government undertook a consultation which complemented proposals, announced by the government at Autumn Statement 2013, to require banks to share information on their SME customers with other lenders through Credit Reference Agencies. At present the largest four banks in the UK account for over 80% of UK SMEs’ main banking relationships. Many SMEs only approach the largest banks when seeking finance. Although a large number of these applications are rejected - in the case of first time SME borrowers the rejection rate is around 50% - a proportion of these are viable and are rejected simply because they don’t meet the risk profiles of the largest banks. There are often challenger banks and alternative finance providers with different business models that may be willing to lend to these SMEs. Although the largest banks will sometimes refer these SMEs on (e.g. to brokers), in many cases challenger banks and other providers of finance are unable to offer finance as they are not aware of their existence and the SMEs are not aware of the existence of these alternative sources of finance. This is a market failure, of imperfect information, resulting in SMEs that are viable loan propositions not receiving the finance they need. Some attempts have been made to address this market failure, but they are limited in scope and have been slow in achieving results. The UK government is committed to helping small businesses access finance, and believes that more can and should be done. The subject of their consultation was whether or not to address this market failure through a much more ambitious government intervention that would increase the amount of information that is available to challenger banks and other providers of finance about businesses seeking finance, but which are rejected for finance by the major banks. The consultation asked whether this government intervention is needed and, if so, for views on how the government should deliver this, including via a preferred option of referral to private sector platforms. The UK government welcomed the widespread support for its proposals to improve access to finance for SMEs through a mandatory process whereby lenders are required to share details of SMEs they reject for finance, so those businesses can be approached by alternative lenders. In light of this support, the UK government decided to proceed with legislation through the Small Business, Enterprise and Employment Bill. The legislation will require the largest UK SME lenders to forward on details of SMEs they reject for finance (where SMEs give their consent) to platforms that will help them be linked up with alternative lending opportunities. Private sector platforms will be designated to receive this information by the government on the basis of their meeting clear minimum standards that focus on ensuring that SMEs are in control and properly protected throughout the process. The government published draft regulations to assist Parliament’s scrutiny of the powers in the Small Business, Enterprise and Employment Bill. These are not in final form and further changes may be made before the regulations are made. The government intends to institute further requirements for ‘online platforms’ that wish to be designated under these regulations; these will be set out non-legislatively in due course. "Deteriorating customer loyalty is matched by similar declines in empathy, satisfaction and most importantly customer advocacy. Driven by credit experiences, small businesses previously conveyed a strong view that provider choice and competition for their business was lacking." 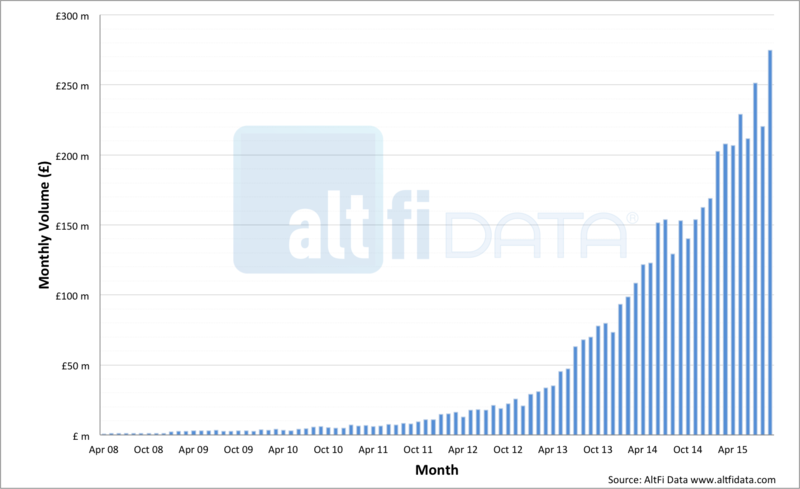 Online non-bank finance providers - 'altfi' or 'fintech' - are starting to fill the void. Terms and conditions vary. Some of the providers in the sub-$150k bracket charge up to 65% APR. Speed of execution and customer service are important but value for money is just as important. Thankfully, there are a few offering much more reasonable terms for better quality customers, like InvoiceX. Access to capital from the big banks is a hindrance holding small business back. Ms Carnell said big banks were typically requiring mortgage security to be pledged for small business loans or otherwise providing credit cards with high interest rates. Alternative funding sources such as those from crowdfunding and other online lenders must be supported by the government, she told the summit.